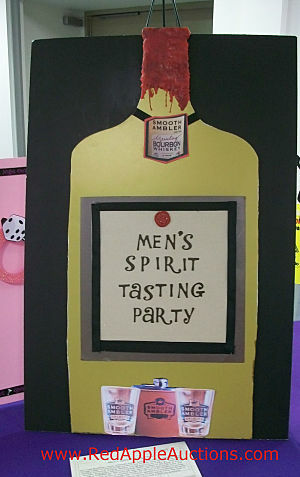 Auction sign up parties can be for a specific group of people (as this one is targeted men) or not. This party could just as easily be for us females, but it was aimed at the guys. Participants got to join the owner of a local Spirits company as he led a participatory ‘tour’ through a flight of his company’s products and cocktails. He discussed the milling, mashing, fermenting, distilling, filtration, and aging process for vodka, gin, whiskey, and bourbon. Gourmet appetizers were included (to help reduce the effects of all that alcohol, no doubt), as was a VIP tour of the distillery. The party sold out with 20 men participating, raising $2000 for the school. That’s what I call smooth. Can you cancel the silent auction for a Fund a Need auction instead?